Enjoy peace of mind, constant hot water and no risk of major repair bills with the EasyFlow Maintenance Plan. We specialise in providing our clients with a constant supply of hot water which we guarantee this through our maintenance plans. We service both unvented and thermal store systems, and with more than 10 years of experience serving our customers, we've built a reputation for excellence. Complete the form above to register your interest in an EasyFlow Maintenance Plan. It requires very little information and takes mere seconds. We will be in contact with you to talk about your requirements. We generally respond the same day, but it may be the next business day depending on the time of your form submission. Our goal is to ensure that you’re able to enjoy a worry-free experience when it comes to your hot water. Never worry that you’ll have no hot water at the taps. Never fret that an undiscovered water leak will corrode your piping, damage your structure, or lead to other serious problems. We strive to ensure that you have the professional services you need at every step of the way when it comes to vented and unvented cylinders. We have years of experience handling hot water heater repairs, and we carry spare parts for most common brands on our vans. Our maintenance plan also ensures that you have a professional watching out for you at all times and that problems can be caught while they are still minor, before they turn into major catastrophes. We are proud to service, repair, and maintain all of these brands of unvented hot water cylinders for our customers. We carry spare parts for most of these models on our vans, or we stock them in our warehouse. This ensures the fastest water heater repair possible with little to no waiting. Of course, our maintenance plans are important for your insurance – our maintenance plan provides proof that your unvented cylinder has been inspected and is being properly maintained. We can provide you with all the paperwork needed to ensure a smooth process with your insurance, if required. Of course, the true benefit here is the peace of mind you enjoy concerning the safety and reliability of your unvented cylinder. Our professionals have the experience, knowledge, and expertise necessary to troubleshoot, inspect, and repair virtually any problem you might be facing. 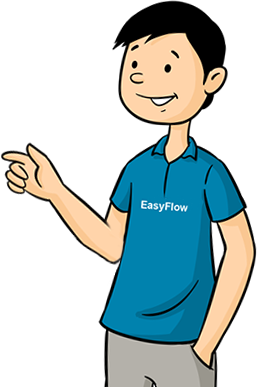 EasyFlow specialise in the repair and maintenance of unvented water heaters and thermal store water heaters. The plan covers everything from annual maintenance and fault finding to replacing safety valves and immersion heaters. The cost per year is typically less than a single standard repair job and yet covers the annual service of unvented water heaters and multiple call-out and repairs. Prices can vary by make and model of heater and by location. We can provide you with a more accurate quote with further information about your water heater model. The minimum term for a Maintenance Plan is 12 months. If an agreement is cancelled prior to the initial 12-month term being completed the outstanding balance will become due. Includes a free annual service for unvented water heaters worth £90. This service is a vital consideration and is recommended by manufacturers. We will provide certification of service to deliver to your insurer as well. Water heaters and electric boilers must be in working order when the plan starts. Existing faults will be repaired for a one-off charge of £100 plus vat, subject to the boiler or cylinder being accepted on to a plan. We retain the right to reject water heaters which are corroded, obsolete or beyond repair. Attempting to repair water heaters in poor condition, or to service those with serious problems, can be very dangerous. However, we can offer installation of a new water heater in these instances (installation not covered in maintenance plan). If a water heater becomes beyond repair or parts for it become obsolete, after the maintenance plan has commenced, the plan will be suspended. We cannot provide repairs or service for water heaters that are dangerous to service or repair, nor can we service water heaters if spare parts are no longer available for them. Charges are paid monthly by Direct Debit. This is part of your signed annual agreement, and ensures prompt payment to EasyFlow, but also peace of mind to our customers. Maintenance Plans become active when an Application Form has been submitted, the direct debit mandate has been set-up and we have accepted your water cylinder onto the Maintenance Plan programme as set out in clause 5.3 of the terms and conditions. Agreements are subject to Terms of Contract. Your water cylinder is only covered once an Application Form has been submitted, you have set-up the Direct Debit and we have accepted your water cylinder onto the maintenance plan programme as set out in clause 5.3 of the terms and conditions. All call-outs and work done prior to this will be charged at the standard rate. Priority call out service to ensure prompt, professional service at all times. Freephone call out number to avoid any charges on service calls. Unlimited call outs for fault finding to ensure peace of mind and accuracy in all repairs. Priority repairs service - you take precedence as a Maintenance Plan member. Includes labour charges for repairs to help ensure transparency in regard to pricing. Cost and installation of a replacement water heater. Maintenance Plans only apply to services, repairs, and spare parts, not to replacement of the entire cylinder. Pipework not directly connected to the water heater, zone valves, taps, as these are not considered part of the water heater and are not covered by the Maintenance Plan. D2 discharge pipes are not included in your Maintenance Plan. Gas boilers, central heating systems and central heating programmers are excluded from your water heater Maintenance Plan. Removal of lime scale or sludge from the interior of the cylinder, piping, or other areas. Accidental or wilful damage is never covered by your water heater Maintenance Plan. Changing sacraficial annodes is not included and where applicable will be charged as an extra cost. This should be noted by owners of Ariston water heaters. Maintenance Plans are offered in Greater Manchester, Liverpool, Chester, Leeds and surrounding areas only. Prices can vary by make and model of heater and by location. “Our charges” means our charges for provision of the Services calculated by reference to our agreed fee as shown in the Specification Sheet, which are exclusive of the cost of materials, unless stated and VAT. “Call-out” A request by you for an engineer to attend site to investigate a water heater fault “Not Economical To Repair” A point will arise with all water heaters when it is not viable to repair the heater. This usually occurs when manufacturers no longer produce spare parts, as a result of corrosion or when there is a leak or a split on the cylinder. www.citizensadvice.org.uk, or call 03454 04 05 06. • telephone on 0800 433 4043 or on 0161 941 3571, Monday to Friday: 9am to 5pm. We may record calls for quality and training purposes. We are registered in England and Wales under company number: 03199914. Our registered office is at: [59 Alberbury Avenue, Timperley, Altrincham, WA15 7LJ. 3.1. You have the right to cancel this Contract within 14 days without giving any reason. 3.2. The period during which the contract may be cancelled will expire after 14 days of the commencement of the contract. 3.3. To exercise the right to cancel, you must inform us of your decision to cancel this Contract by a clear statement (e.g. a letter sent by post or email). You can use the model cancellation form set out in the box below, but it is not obligatory. 4.1. If you cancel this contract, we will reimburse to you all payments received from you except where we are allowed to keep such payments such as where we have started carrying out the services within the 14–day cancellation period or you have signed a written instruction to start carrying out the services within the 14–day cancellation period. 4.2. We will make the reimbursement without undue delay, and not later than 14 days after the day on which we are informed about your decision to cancel this contract. 4.3. We will make the reimbursement using the same means of payment as you used for the initial transaction, unless you have expressly agreed otherwise; in any event, you will not incur any fees as a result of the reimbursement. 5.1. These Terms apply to all Services, including any Materials, supplied by us. 5.2. We must agree in writing any changes or additions to the standard Services or these Terms affecting the Contract. 5.3. No contract exists between you and us until we have accepted your order. Your order is submitted to us by means of completion of an on-line application via our website with your confirmation that you accept and agree to our terms and conditions. At the same time you will need to submit a completed direct debit form. When you have done this and when we have set up the direct debit for payments and signed the specification sheet and sent this to you this will signal our acceptance of your order and then there is a binding legal contract between you and us subject to these terms and conditions. The circumstances described in clause 3.5 and 8.2 may also trigger a binding contract. 5.4. You agree to supply us with all necessary access and information within sufficient time to enable us to provide the Services in accordance with the Contract. It is your responsibility to ensure the accuracy of all such information. 5.5. We will provide the Services in accordance with the Specification Sheet, subject to these Terms. 5.6. We may use sub-contractors to provide these services who will benefit from any limitations under these Terms. 5.7. We may, without liability to you, correct any typographical or other errors or omissions in any brochure, promotional literature, quotation or other document relating to the provision of the Services. 5.8. We may, at any time, without notifying you, make changes to the Services which are reasonably necessary to comply with any applicable safety or other statutory requirements, or which do not materially affect the nature or quality of the Services. 5.9. We will only offer an inclusive Annual Service for Unvented Water Heaters. We will not offer an annual service for Thermal Store or Combination water heaters. 5.10. We will not include parts for Gledhill ElectraMate 2000 water heaters in any agreement.5.11. The service Contract relates to the “Appliance” only and will include immersion heaters, thermostats, and internal control parts if stated on the Specification sheet . The Services will not be provided in relation to connected pipework, electrical circuits, fittings e.g. taps and external programmers and controls. For a list of what is included and excluded from the Services please see the page on our website entitled “What is covered” or request a copy of this from us by email or by sending a request for our information sheet about “What is covered” to our postal address given in Section 1.1 of these Conditions. 5.12. Subject to clause 3.5 there is a 14 day suspended period at the start of the Contract. Cover for Breakdowns under the Contract will begin at the start of the 15th day. This is to allow a period for cooling off. This restriction will not apply on the renewal of the Contract. 5.13. Once the contract commences you must not allow any other person or organisation to work on the Appliance unless you have obtained permission in writing from us. Failure to comply with this term will render the Contract cancelled with no further liability on our part. 5.14. You must operate the Appliance in accordance with the manufacturer’s instructions. 5.16. We will always provide you with a “Morning” or “Afternoon” appointment slot but will contact you by telephone or text to give you 60 minutes’ notice of the engineer’s arrival on site. 5.17. We carry a range of parts and will fit either the parts recommended by the manufacturer of the Appliance or similar parts. We do not guarantee to repair the Appliance on the first call, as additional parts may need to be ordered. cancellation, by recorded delivery/registered post, to the address given in sections 1 and 2 of these terms. 5.19. The Appliance may be deemed to be “Not Economical To Repair”. This will happen when/if it would be more economical to replace the Appliance rather than repair it. This usually occurs when manufacturers no longer produce spare parts, or as a result of corrosion or when there is a leak or a split on the cylinder. If this happens, we will not replace the Appliance as part of these Services. 6.1. Subject to any special terms agreed between you and us, you must pay our charges stated on the Specification Sheet and any additional sums (such as the cost of Materials and VAT) including any additional sums which, in our reasonable opinion, are required as a result ofyour instructions or lack of instructions, the inaccuracy of any information, failure to provide access or any other cause attributable to you. The annual charge stated on the Specification Sheet covers call out fees, labour and annual services, and parts unless stated otherwise in the Specification or these terms. 6.2. All charges quoted to you for the provision of the Services are exclusive of the cost of Materials and any VAT, which you must pay in addition, unless included on the Specification Sheet. 6.3. We may invoice you at any time after we have started to provide the Services to you. 6.4. You must pay our charges together with VAT and any additional sums payable by direct debit in equal monthly instalments on or around the first calendar day of each month. If we send invoices for any outstanding sums you will pay our invoices within 14 days of the date of the invoice. after any judgment) at the rate of 4% per cent above the base rate from time to time of Barclays Bank plc from the due date until the outstanding amount is paid in full. 6.6. A debt collection agency will, at our discretion and your expense, be instructed to collect any monies owed to us. 6.7. If we have agreed in writing that we owe to you a specific monetary sum, then you may set-off this sum against monies due to us under the Contract, but otherwise you must pay the sums due to us under the Contract without set-off or deduction. 6.8. Annual charges will be reviewed at the end of January each year. We reserve the right to increase the rate of the annual charge by the average rate of inflation declared for the previous six months by the Bank of England plus not more than 2.5%. All increases will exclude VAT which will be added at the standard rate. 6.9. If we become aware that a fault with your Appliance or heating system arose before the agreement was signed we charge an additional repair fault of £100 plus Vat unless the Appliance is corroded or falls under the exclusions referred to in Clause 8 below in which case we will not accept a contract. 7.2. We warrant to you that the Services will be provided using reasonable care and skill and, as far as reasonably possible, in accordance with the Specification and these terms. 7.3. Subject to clause 7.1 our entire liability to you is limited to the extent that it is covered by any insurance policy taken out by us and operative at the time the liability accrues. Details of our present insurance cover are available on request. If, in the Specification Sheet, you ask us, at your expense, to purchase additional insurance cover we will take reasonable steps toprocure this. Note that our specific liability for loss or damage to property that arises from our fault or failure will be limited to the amount by which we are covered under our public liability insurance although such limitation will not apply if cover is unavailable through our own failure to make reasonable efforts to procure such insurance cover. 7.4. We offer no warranty or assurance that the Appliance or your heating system will be fully functional at all times. It is your responsibility to contact us immediately if there is a failure. We shall not be held liable for any damage unless it is a result of our work. 7.5. We shall have no liability to you for any loss, damage, costs, expenses or other claims for compensation arising from any instructions or information supplied by you which are incomplete, incorrect or inaccurate or arising from their late arrival or non-arrival, or from your failure to provide us with access or any other fault of yours. 7.6. We shall not be liable to you for any loss of profit or any indirect, special or consequential loss which arises out of or in connection with the provision of the Services (including any delay in providing or failure to provide the Services) or their use by you. 7.7. We shall not be liable to you or be deemed to be in breach of the Contract by reason of any delay in performing, or any failure to perform, any of our obligations in relation to the Services, if the delay or failure was due to any cause beyond our reasonable control. 7.8. You should inform us of any complaint or a defect in our Services in writing within 14 days of the defect becoming apparent to you. 7.9. Where any valid claim or complaint is notified to us in accordance with clause 7.8, we may, in satisfaction of our liability to you, carry out such further services as we deem necessary free of charge or refund to you the price paid by you for the Services (or a proportionate part of thereof). 7.10. It is your responsibility to provide us with access to enable us to provide the Services. Accordingly, if you ask us to take up fitted carpets or floorboards or to move furniture, ornaments or other items to gain access for provision of the Services, we may do so on your behalf and entirely at your own risk. We will use our reasonable endeavours to put back any items moved in the place and condition that we found them, but we shall have no liability to you for any losses, costs or expenses arising from any damage to such items or our inability to restore any items moved in the place and condition that we found them. 7.11. By entering this Contract with you we are not confirming that the Appliance has been installed to the manufacturer’s instructions. If the Appliance has not been installed to the manufacturer’s instructions we reserve the right to terminate the agreement, without further obligation to you. 7.12. If you are a consumer, these Terms do not affect your statutory rights. listed below and we reserve the right to make appropriate charges.8.2. We will not cover any breakdown that occurs within the first 14 days of the signing of this agreement unless urgently requested. If such urgent request is made this Contract is affirmed. 8.3.12. We will not make changes to installations to the existing Appliance if these are deemed to be safe and acceptable. 8.7. We are liable only for the maintenance of items listed in the Specification Sheet, all external fittings, pipes and controls are excluded. 8.8. For a full list of what is covered within our Services please see the page on our website entitled “What is covered” or request a copy of this from us by email or by sending a requestfor our information sheet about “What is covered” to our postal address given in Section 1.1 of these Conditions. 9.1. We must carry out the services by the time or within the period which you and we agree (either with our representative or in writing). If you and we have agreed no time or period, this will be within a reasonable time. 9.2.5. you have not prepared the site in the way we agreed with you. 10.1. You may terminate the Contract at any time after the initial 12 month period by giving not less than one months’ written notice to us. Termination of the Contract will not entitle you to a refund of the annual fee. If the Contract is being paid by direct debit then the outstanding amount due in the remaining months of the year will become payable on termination. Our annual charges accrue prior to termination. 10.2. We or you may (without limiting any other remedy) at any time terminate the Contract by giving written notice to the other if the other commits any breach of these Terms or non-payment and (if capable of remedy) fails to remedy the breach within 30 days after being required by written notice to do so, or if the other goes into liquidation, becomes bankrupt, makes a voluntary arrangement with its creditors or has a receiver or administrator appointed, or if the Appliance becomes not economical to repair or if you sell the property. 10.3. If this Contract is ended it will not affect our right to receive any money which you owe to us under this contract..
11.1. We will try to resolve any complaints with you quickly and efficiently. 11.2.3. any other matter please contact us as soon as possible. 11.3.2. give you certain information required by law about our alternative dispute resolution procedure. 12.1. Country & Town Limited registered office details and company number 03199914, trading as EasyFlow is an independent company and as such does not claim to be endorsed by any manufacturer. 12.2. These Terms (together with the terms, if any, set out in the Specification Sheet) constitute the entire agreement between the parties, supersede any previous agreement, statement, or understanding. All other terms, save for those implied by statute, are excluded to the fullest extent permitted by law. 12.3. A notice required or permitted to be given by either party to the other under these Terms shall be in writing addressed to the other party at its address set out in the Specification Sheet or such other address as may, at the relevant time, have been notified pursuant to this provision to the party giving the notice. 12.4. No failure or delay by either party in exercising any of its rights under the Contract shall be deemed to be a waiver of that right, and no waiver by either party of any breach of the Contract by the other shall be considered as a waiver of any subsequent breach of the same or any other provision. 12.5. If any provision of these Terms is held by any court or other competent authority to be invalid or unenforceable in whole or in part, the validity of the other provisions of these Terms and the remainder of the provision in question shall not be affected. 12.6. English law shall apply to the Contract, and the parties agree to submit to the jurisdiction of the English courts.. The engineer was very helpful and friendly. He advised me to get a Maintenance Plan to save money on my repair bill. Thank you. Just signed up to a Maintenance Plan, saved a tonne of money. Great service from the engineer. Thank you. As an absentee landlord living in Glasgow, I was very pleased to find EasyFlow. They liaised with the tenant and organised a visit which was carried out promptly and efficiently. As they carry spares in their van they were able to diagnose and fix the problem in one visit. Thank you very much.